Police are still investigating the death of Miami entertainer Kristina Gomez Reinwald as the year's number of trans women reported murdered in the U.S. continues to rise. 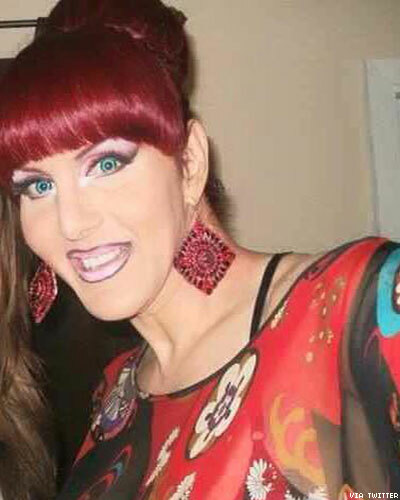 Miami police have ruled the death of 46-year-old Latina trans woman Kristina Gomez Reinwald a homicide, after initially concluding she died by suicide, reports local station WTVJ. Reinwald was discovered deceased Monday at her southwest Miami home. News of Reinwald being killed by an assailant first began circulating on social media among trans advocates shortly after her death, using a hashtag of a second name she was known by in her work as an entertainer — Christina (or Kristina) Grant Infiniti — days before police officially concluded she'd been murdered. Friends of the victim claim she was stabbed to death by her boyfriend (who was possibly her ex-boyfriend), but police are still reportedly investigating multiple leads, according to the Miami New Times. Officials noted that there were no signs of forced entry in Reinwald's home, suggesting that she knew her killer, reports Miami station WPLG. Local trans activists held a candlelight vigil in Reinwald's honor Thursday night at the Torch of Friendship on Biscayne Boulevard at Fourth Street in Miami. Meanwhile, trans advocates nationwide are mourning Reinwald's murder as the seventh of a trans woman killed within the first seven weeks of 2015. Six of the victims were women of color, and at least three were slain in acts of domestic violence: Bri Golec, 22, was allegedly stabbed by her father on February 13; Yazmin Vash Payne, 33, was allegedly stabbed by her boyfriend and left in their burning Los Angeles apartment on January 31; and Ty Underwood, 24, was allegedly shot by her boyfriend January 26. This year has also seen the murders of Penny Proud, 21, who was killed in a robbery in New Orleans February 10; Taja DeJesus, 36, who was stabbed February 1 by an alleged attacker who then committed suicide; Lamia Beard, 30, who was shot by an unknown assailant January 17; and Papi Edwards, 20, who was fatally shot January 9 in Louisville, Ky., by an attacker arrested two days later. By comparison, 12 transgender women were murdered in the U.S. in 2014, though this does not account for individuals whose deaths were not reported or investigated, nor for victims who were misgendered or not regarded as trans women in death. Women of color are the predominant group of trans people facing fatal violence every year worldwide. This year's particularly deadly start — with the U.S. averaging one trans woman reported murdered each week of 2015 — has trans rights activists incensed, and demanding structural social change, policy and law changes that protect trans people from discrimination and harassment, and more frequent, respectful mainstream media attention to what many have termed a homicide "epidemic." Anyone with information about Kristina Gomez Reinwald's death is asked to call Miami-Dade Crime Stoppers at 305-471-TIPS.